Cosmetic Dentistry has many benefits beyond creating a pretty smile. Once considered trendy and reserved for celebrities, cosmetic dentistry has become a widely-applied method of improving dental health and function, in addition to creating a more confident you. What sets Morgan & Haupt Dentistry apart from other Virginia Beach cosmetic dentists is our ability to analyze all of the components of your smile and how they work together as a whole. 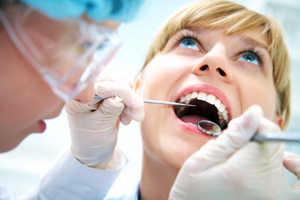 Our dentists all have advanced training in modern cosmetic dentistry and utilize state-of-the art technology and techniques. In fact, you’ll be able to “see” the results of your procedure before we begin dental work through our 2-D and 3-D imaging. We’re also artists, approaching each case with the special touch it takes to deliver beautiful, visually-appealing, natural-looking results that fit you alone. The result? A brighter, healthier smile that gives your whole being a happy boost. Cosmetic dentistry can be life changing. Schedule a consultation with one of our Virginia Beach dentists to learn more about cosmetic dentistry and how it can transform your smile.